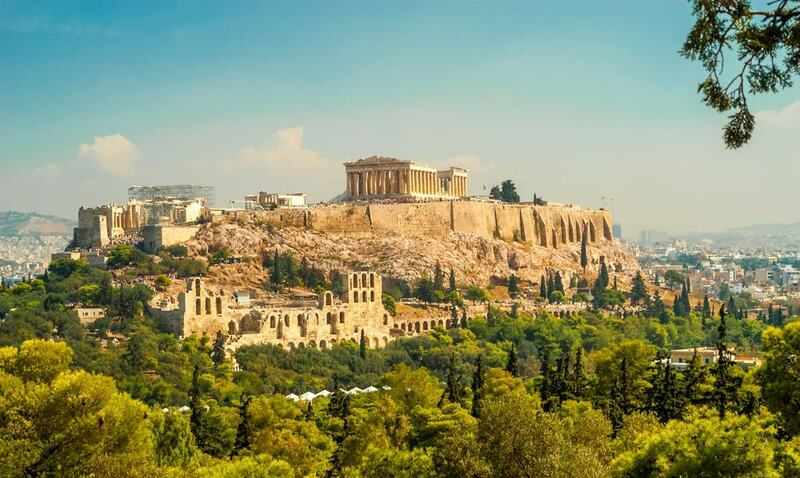 The land of Greece is one infused with ancient mythology and if you like archeology, history, art, and philosophy then a trip to this fascinating country is not to be missed. 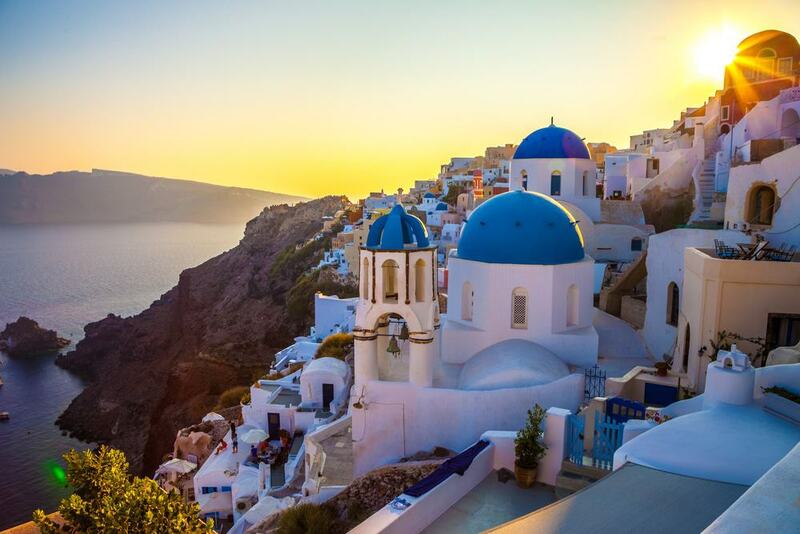 Greece is made up of a series of idyllic islands that are surrounded by jet blue seas and covered in dainty white buildings, and you will also find crumbling ruins, engaging museums, and pretty coastal towns aplenty. From throbbing cities like Athens to a slower pace of life in little villages by the sea, Greece is a mosaic of different experiences and landscapes, as well as one of the world’s largest open air museums. Dominating the skyline of the capital city of Greece, Athens, is the Acropolis. If you are in Greece then this is probably the number one attraction not to miss and the complex, made from glittering marble, used to be the site of the famous statue of Athena who was also the goddess of Athens. 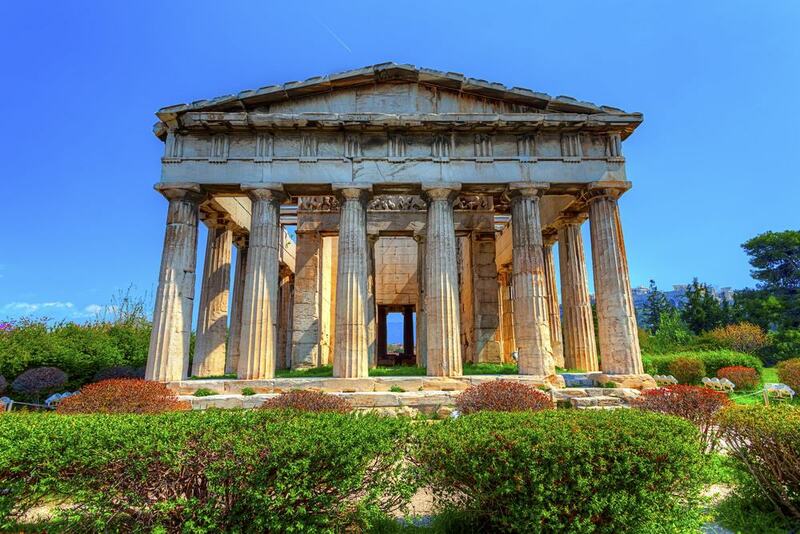 Anyone remotely interested in ancient architecture can marvel at the Doric columns and the spectacular temples and the Acropolis is lined with pathways that let you walk around at your leisure and enjoy the highlight of this monument which is the stunning Parthenon. 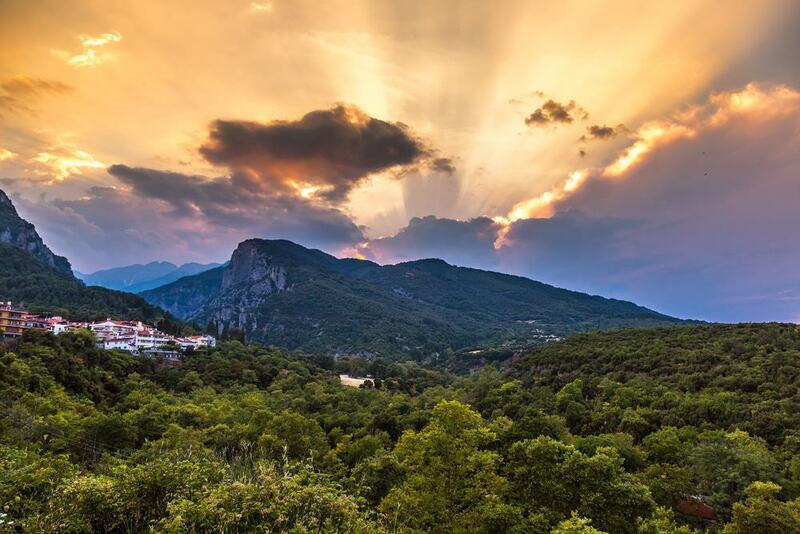 Mount Olympus is probably one of the most famous mountains in the world and if you are a fan of Greek mythology then this is not be missed off your itinerary. If you want to climb the mountain then you will need to travel to Litochoro where you can trek part or all the way to the top depending on your ability and fitness levels. Mount Olympus is known in Greek mythology as the spot where Zeus sat on his throne as well as the place where Hades ruled the Underworld, so as you climb you can imagine the legends that are interconnected with this mountain. Lake Plastira is something unusual in Greece which is known for being blessed with a plethora of natural beauty. What makes this lake different is that it is manmade although this doesn’t make it any less impressive. 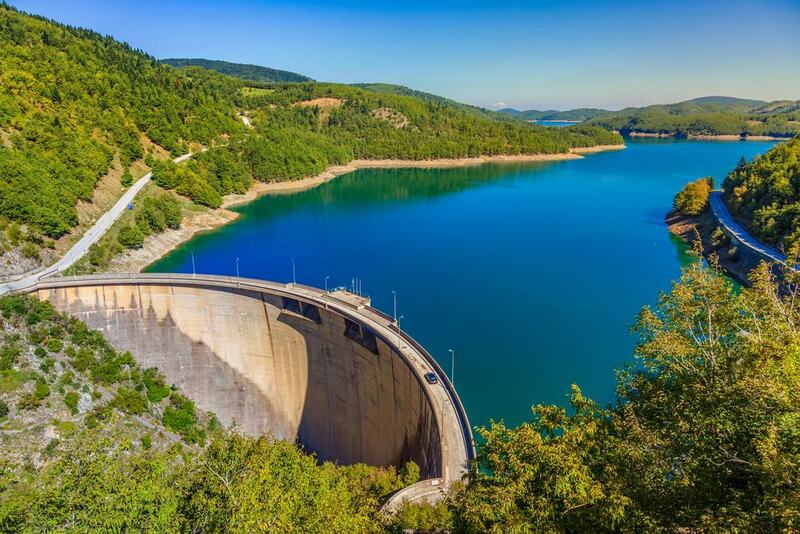 The lake is surrounded by oak and chestnut trees and you can go canoeing or rafting here as well as horse riding or hiking along the trails around the lake. Lake Plastira is located in the Larditsa region of Greece and offers an adventure filled afternoon. Santorini is also known as the island of Thira and is the haven of honeymooners looking to get away from it all in one of the most beautiful places on earth. Santorini is known for its picture postcard good looks which see it covered in traditional Cycladic homes which gleam white under the hot Greek sun and contrast beautifully with the deep blue seas and churches. Walking around the island gives you the chance to take in all the spectacular architecture here and because the landscape is formed by a volcanic crater you can expect some of the most spectacular views in all of Greece. 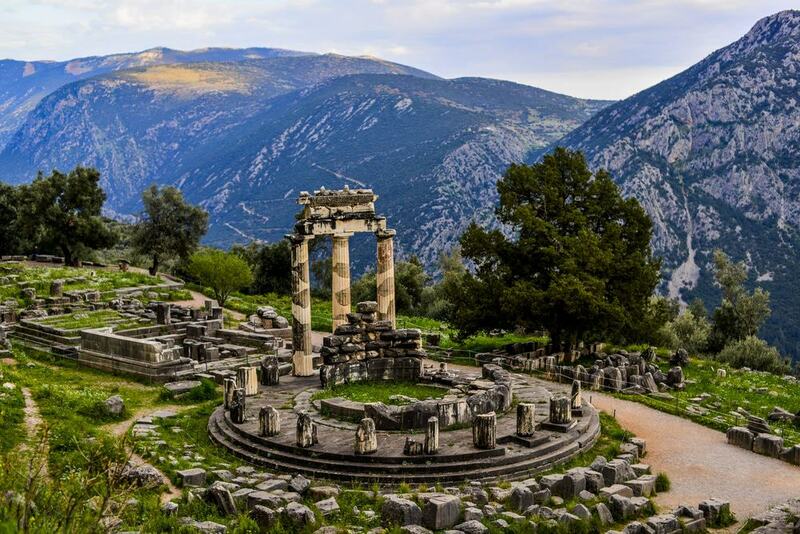 Delphi has the claim to fame of being a UNESCO World Heritage Site as well as one of the top attractions in Greece. Delphi sits on the sides of Mount Parnassus and was a popular pilgrimage spot in the days of old for those who would come here to pay homage to Apollo, the ancient Greek god of healing, music, light, and prophecy. Followers would come here to seek guidance from the Oracle at Delphi and nowadays you will find temples, an impressive stadium, a theater, and delightful ancient ruins. Delphi is located around 180 kilometers away from the capital city of Athens, so this makes a good place to come if you want to get out of the city and explore a different area of Greece. Nestled on the stunning island of Crete is the Samaria Gorge which is a must-visit for any nature lovers to Greece. The gorge spans 16 kilometers although parts of it are just 4 meters wide. There are a range of treks available at the gorge although if you want to walk along the entire section then it can take anything up to seven hours. One of the most popular modern attractions in Athens is the Acropolis Museum which opened in 2009. 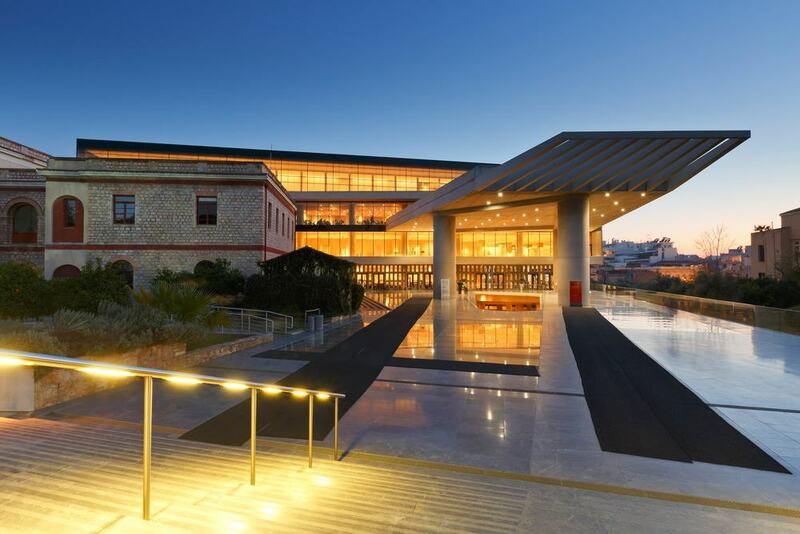 You will know the building when you see it as it’s made of cutting edge glass and steel and houses some of the most famous artifacts in Greece. Some of the signature pieces in the museum include the Moschophoros which is a statue of a man with a calf on his shoulders and the Parthenon marbles. The museum is also known for its cafe which has a terrace that looks across to the breathtaking Acropolis. 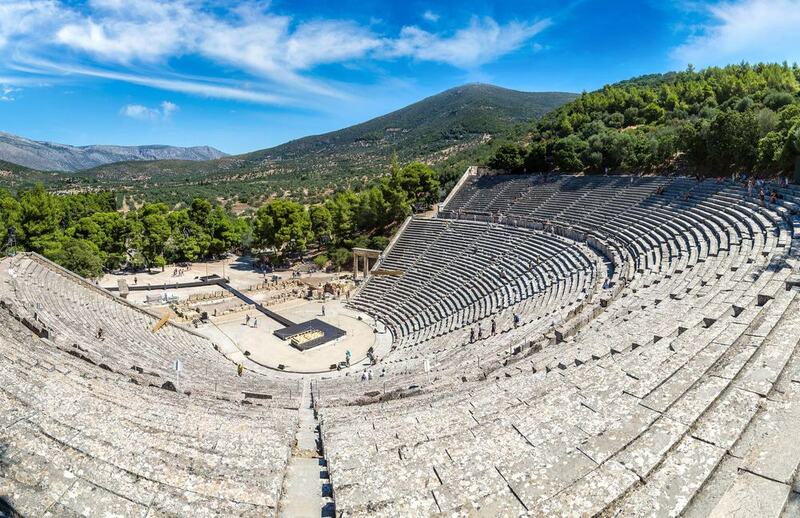 In Epidaurus in the region of Argolis is the Epidaurus Theater, a ceremonial space that is dedicated to the famous god of medicine, Asclepius. The Sanctuary of Asclepius is located next to the theater, and you can visit both at the same time. The theater dates from the 4th century and you can sit in the stone tiers and imagine watching a performance here in the years of old. 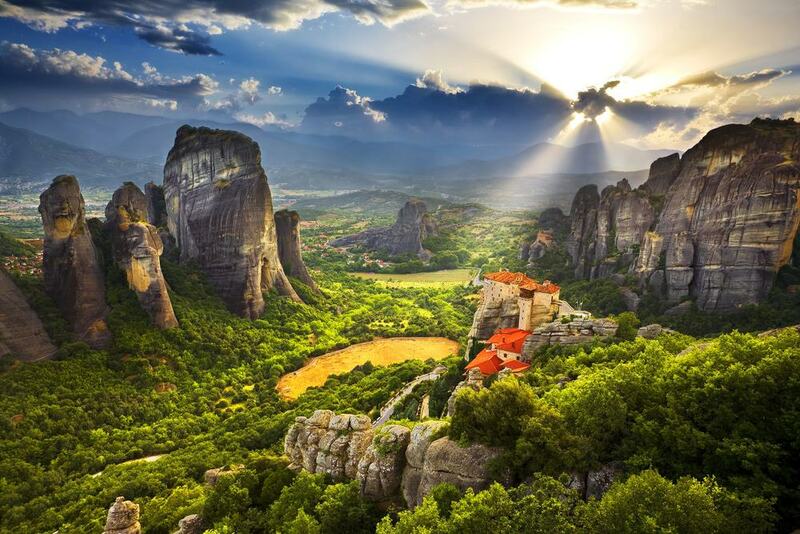 Meteora is known for its monasteries that sit on top of towering rock formations. The monks that live in the area are Eastern Orthodox and fled to Meteora as a result of the invasion of the Turkish army. There are 6 monasteries in Meteora, although at one point there would have been over 20, and as a result this is one of the most spectacular religious sites in Greece. Meteora is crowded with ancient boulders and monolithic pillars and this is also a UNESCO World Heritage Site as the rock formations offer one of the most haunting and beautiful landscapes in all of Europe. 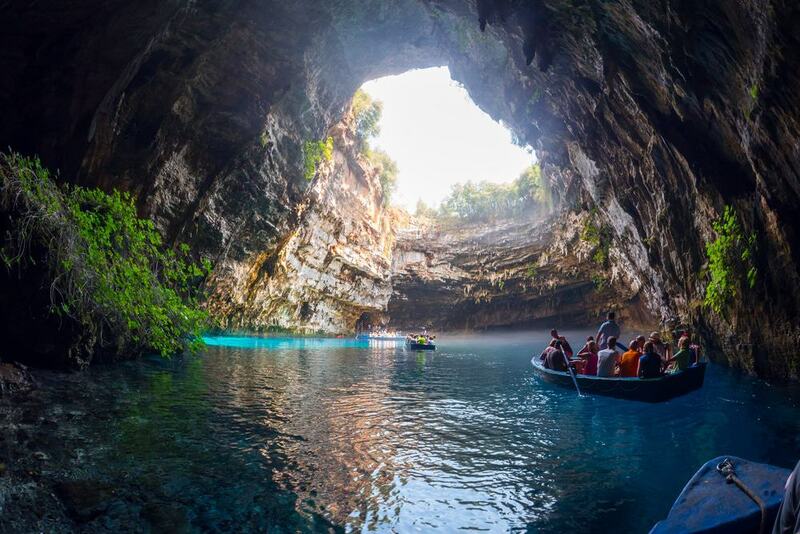 Located near to Karavomilo is Melissani Cave which is a craggy cave known for its beauty. The cave is almost 4 kilometers long and was formed when water eroded the soft rocks over the centuries. Inside the cave is the equally famous Melissani Lake, an underground body of water that was discovered in 1951. In ancient times the cave was dedicated to the Nymph Melissani who gave the cave its name. You can go down into the cave via a tunnel and then go out on the lake and glide across the turquoise waters on a boat. Located in the charming Thissio neighborhood of Athens is the Hephaestus Temple. As with all temples in Greece, this one is dedicated to the gods, in this case Hephaestus who was the god of fire and Athena, the goddess of pottery and ancient crafts. The temple dates from 450 BC and sits atop Agoreao Koronos Hill. Designed by the same architect who worked on the Pantheon, Hephaestus Temple is known for its pretty columns and its Pentelic and Parian marble decorations. You will also find friezes and sculptures dotting the building which is said to be one of the most historically important in all of Greece. 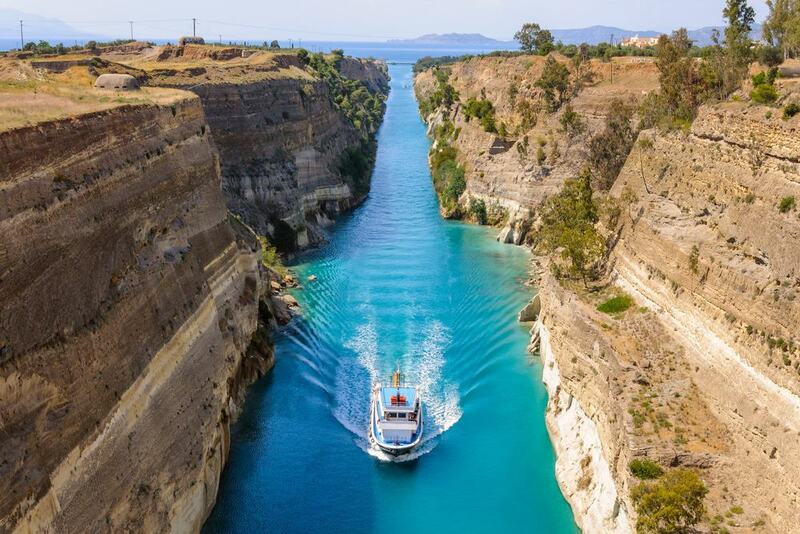 One of the most amazing feats of engineering in Greece is the Corinth Canal. It took centuries to build and was started by Nero, the ancient Roman emperor, before finally being finished under the French as late as the 19th century. The canal is sliced into a section of rock and spans 6 kilometers with sides that soar up to 90 meters. The canal is still in working order and you can catch ships traveling if you happen to be here at the right time. One of the other main attractions on the canal is the Zulu Bungy Jump which is certainly not for those who don’t have a head for heights but is also an amazing way to take in all the majesty of the canal.